Many of you are probably mid-binge watch of season two of Orange is the New Black right now. So the ladies of Cinema in Noir and I had a spoiler-free discussion Sunday night about some of the new themes and standout performances of this season of the Netflix prison dramedy, which include the portrayal of motherhood (both surrogate and traditional), the approach to mental illness and how it boldly goes where too few stories attempt to go (yet again)--highlighting the many complexities of being an older woman in and out of prison. I wrote about the show last year, and discussed how it is so addictive in how it immerses us in the characters' lives, excellently played by the gargantuan cast (none of whom is short sighted in the series), revealing shades of nuance and pathos we rarely see in prison shows that often draw a distance between the characters and the audience. My co-host, Rebecca, even went so far as to say "It makes me think that we're just one terrible mistake away from being right there with them." A hyperbole at first glance, but it just goes to say how humanizing the writing, in part thanks to show creator Jenji Kohan. Another thing the show does so well this season is highlight the older female characters on the show, some of those whose back stories we had yet to learn last season, and also new characters whose tenure behind bars has given them a certain authority mixed with a fear factor unlike any other. Plus, long time thespian Lorraine Toussaint (a consistently underrated actress) completely slays this season as the ultimate Queen B. Adding the much needed element of guardianship to a jaded yet vulnerable batch of characters, Toussaint's portrayal is a double-edged sword of intimidation and mother hen protection. We also get deeper into Suzanne aka Crazy Eye's (Uzo Aduba) story, which is filled with as much despair, racial and societal disconnect as genuine heartbreak and mental illness. 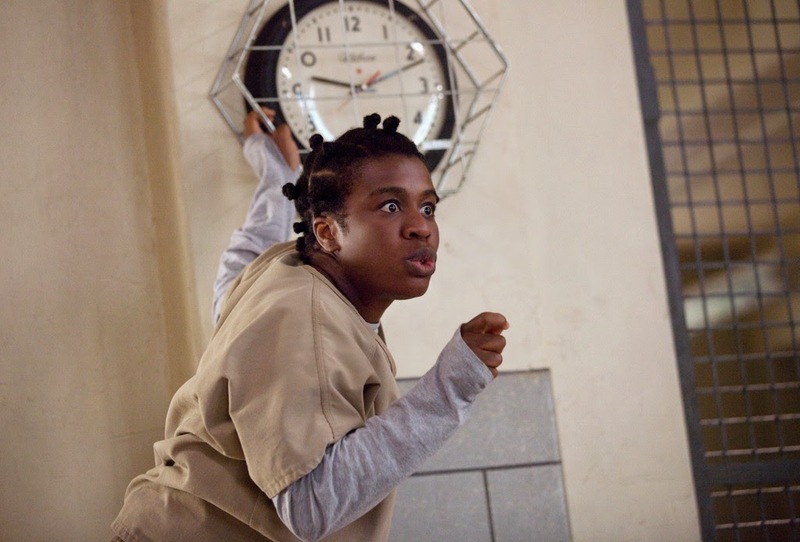 Propelled by Aduba's increasingly magnetic performance, Crazy Eyes evolves into an even more fascinating character as the season progresses. It's a career-making portrayal that you are sorely missing out on if you're not watching it. 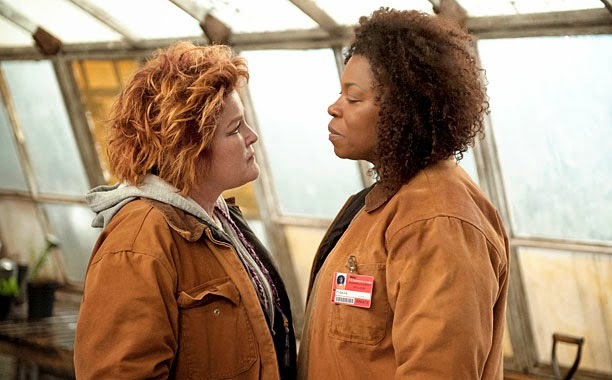 In a show that blurs the lines between villains, antiheroes and protagonists, Orange is the New Black continues to top itself with captivating stories about a subculture that is often dismissed, showcasing actresses that have until now been all but ignored. But it above all, it further affirms that some of the most interesting female characters right now live on the small screen and digital video. Orange is the New Black season two is now streaming on Netflix. To listen to the latest episode of Cinema in Noir, click here.